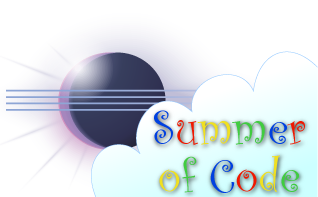 The Eclipse Foundation is pleased to announce the Eclipse project will once again be participating in Google's Summer of Code this year. A good way to meet those involved with the program is to visit the #eclipse-soc and #eclipse IRC channels on Freenode. The program is administered by Philippe Ombredanne ( philippe dot ombredanne at eclipse dot org ) and Wayne Beaton (wayne dot beaton at eclipse dot org). Planning has already begun for this year's Summer of Code.